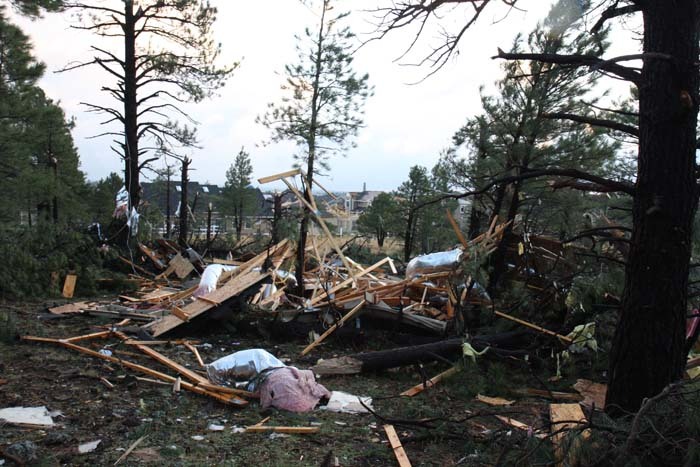 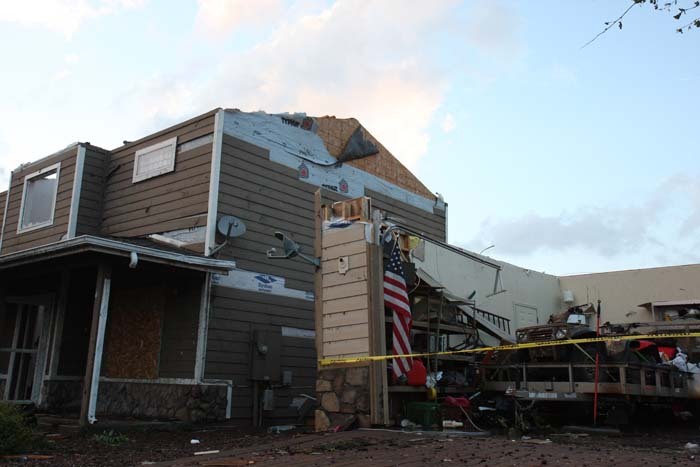 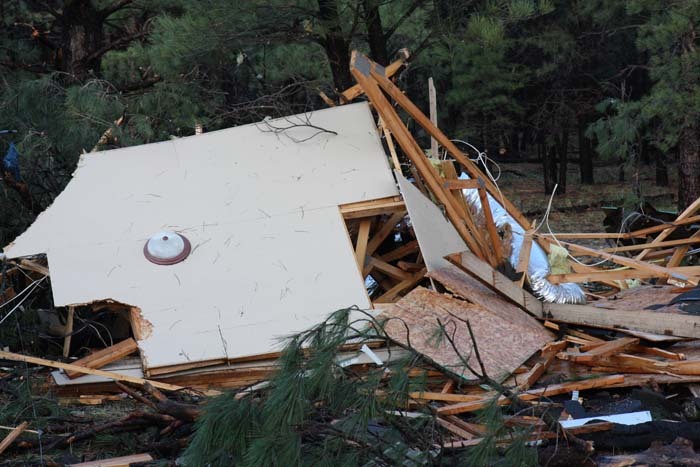 As many as four tornados ripped through northern Arizona early morning Wednesday October 6, 2010. 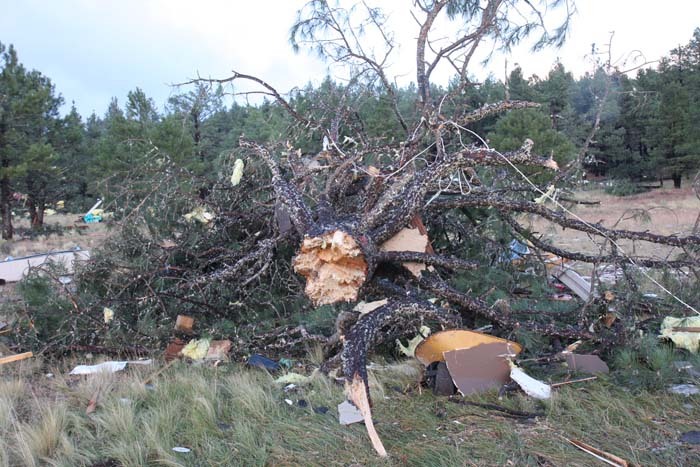 One of them went right through the rural subdivision of Bellemont, just west from Flagstaff on I-40. 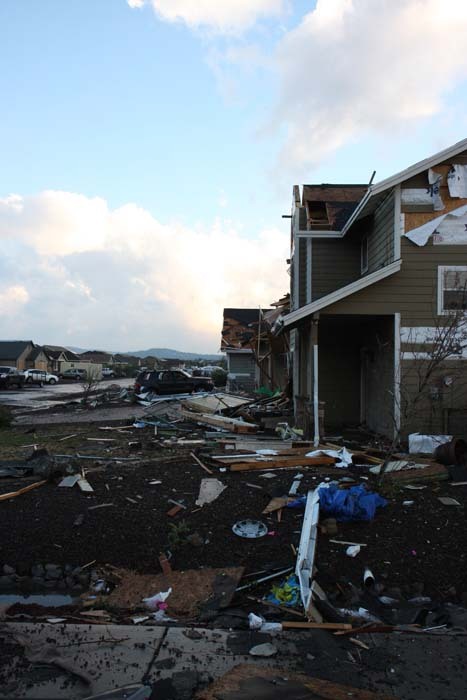 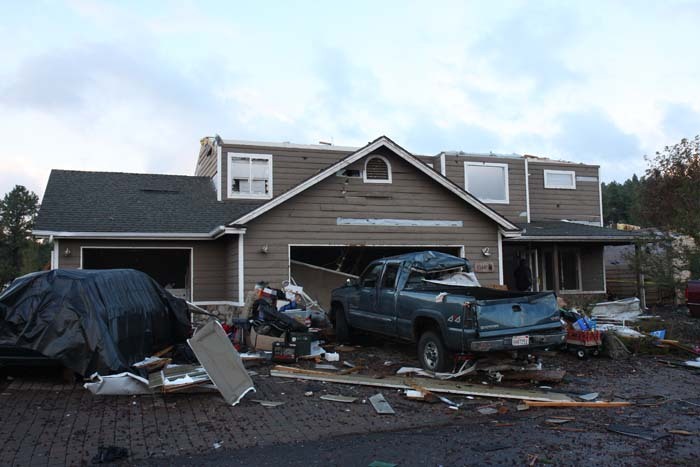 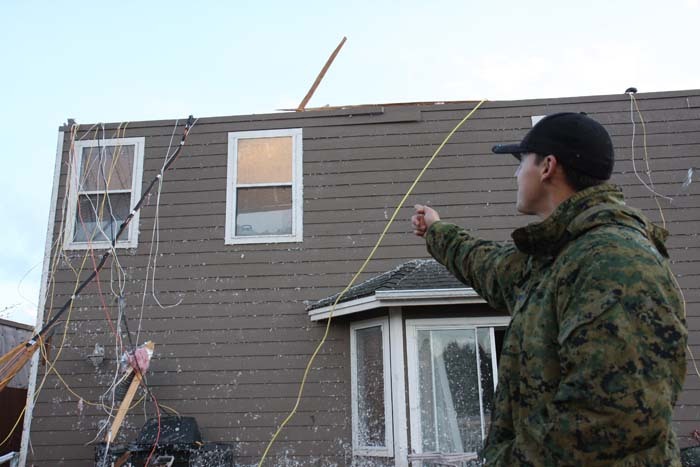 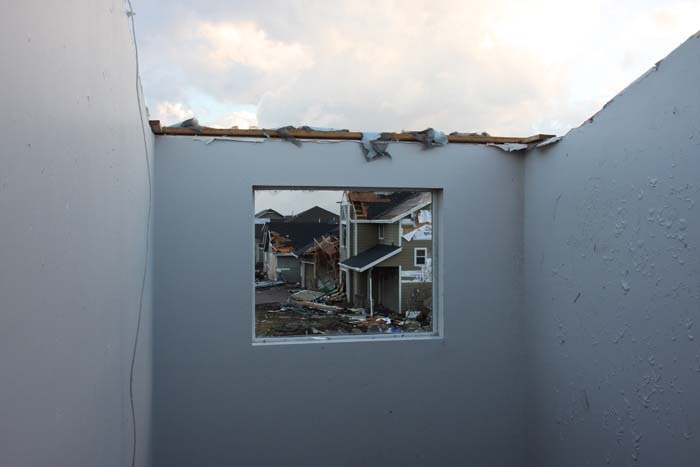 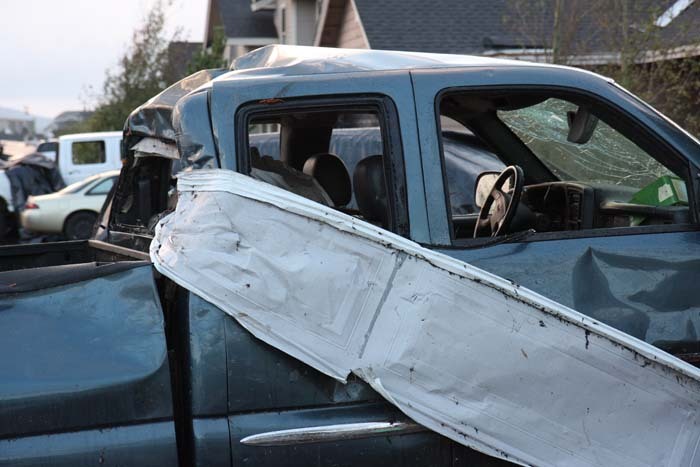 Thankfully no one was seriously injured even though several houses were destroyed. 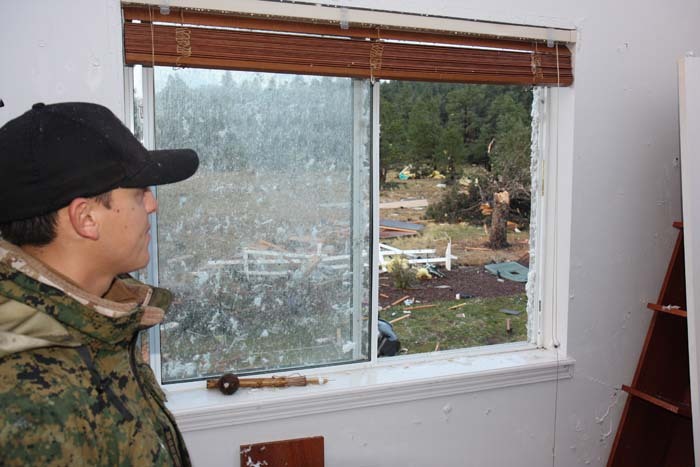 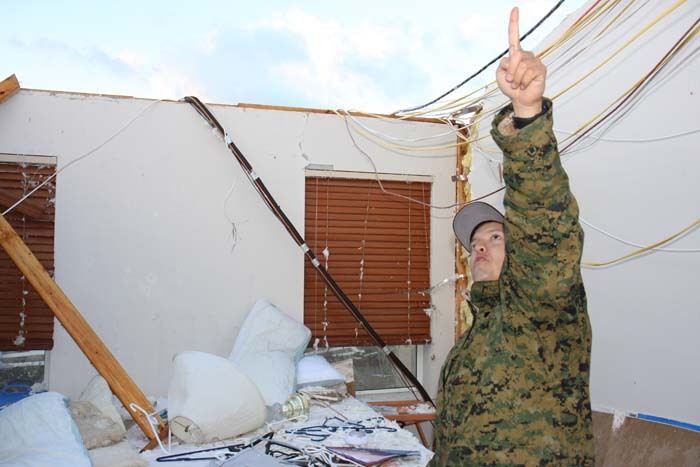 Carlos Rojas stands in his Master Bedroom where he and his family were when the tornado passed directly overhead. 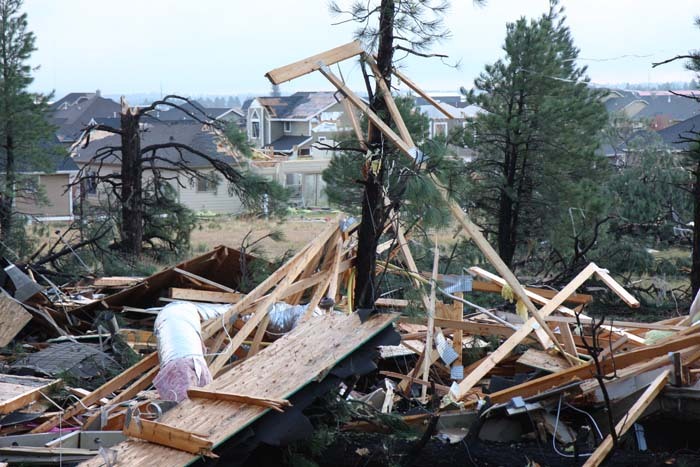 The tornado took the entire roof off this two story home and threw it several hundred feet into the woods. 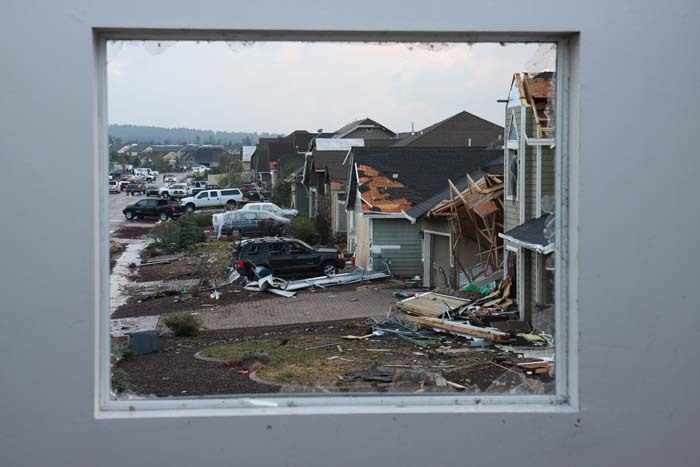 The tornado which hit the subdivision of Bellemont also hit the Santa Fe railroad, blowing cars off the tracks. 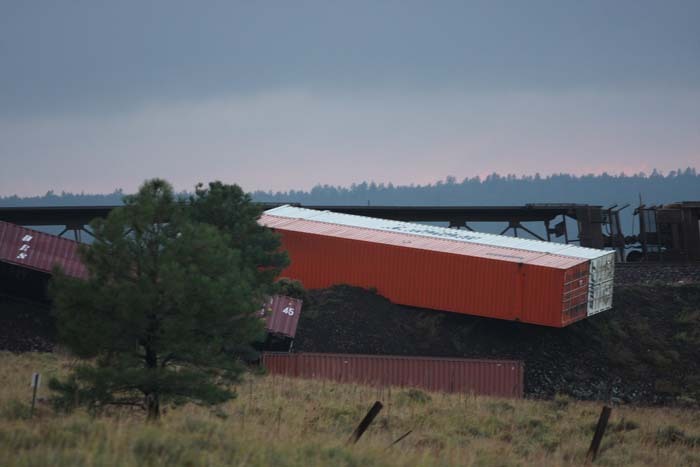 Crews worked quickly to remove the rest of the damage train from the tracks so other trains could get back on schedule. 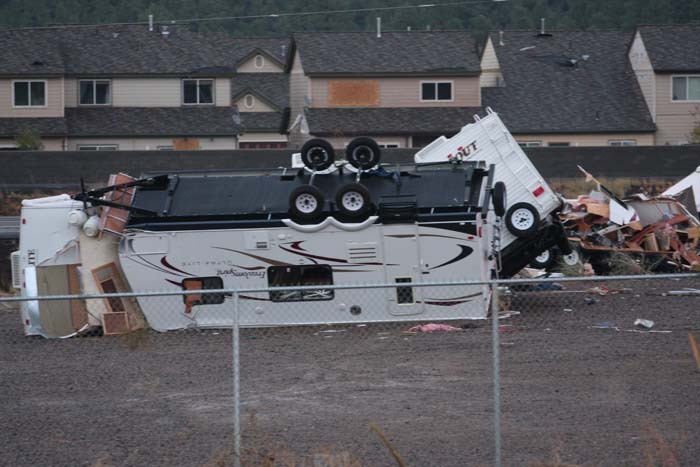 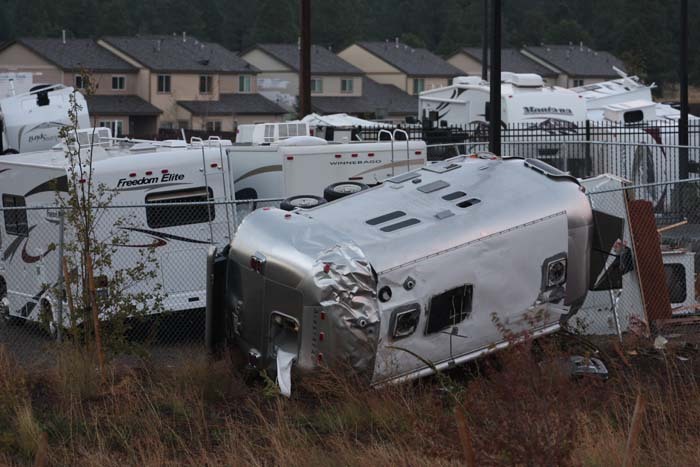 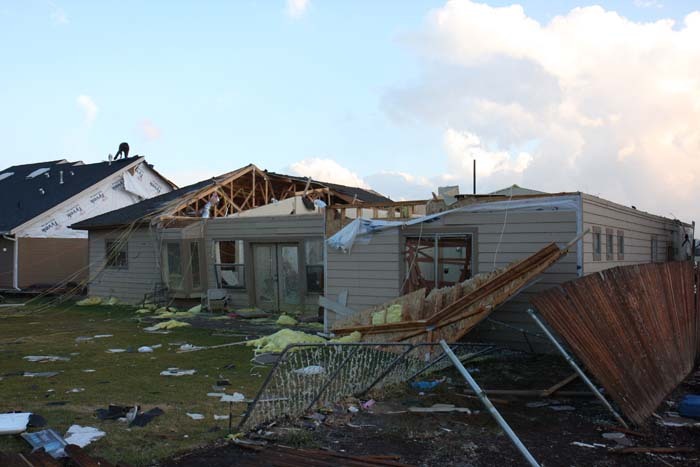 The tornado that hit Bellemont also hit the RV center across the highway, tossing the RVs around like they were child's toys.